DEW-SCENTED - Relentless Thrash Metal from Germany - DEW-SCENTED » New DEW-SCENTED album recordings finished; Release scheduled for late July! New tourdates! DEW-SCENTED - Relentless Thrash Metal from Germany - DEW-SCENTED » New DEW-SCENTED album recordings finished; Release scheduled for late July! New tourdates! Home > NEWS	> New DEW-SCENTED album recordings finished; Release scheduled for late July! New tourdates! New DEW-SCENTED album recordings finished; Release scheduled for late July! New tourdates! DEW-SCENTED have just finished studio recordings for a new album! 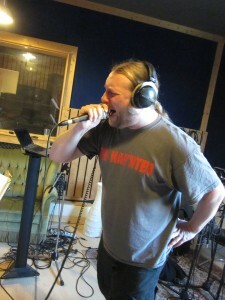 We once again recorded at Soundlodge Studio (www.soundlodge.de) in the deepest heart of Northern Germany with Jörg Uken (God Dethroned, Suicidal Angels, Nightfall, etc.) as producer. We have worked with Jörg already on “Incinerate” for the recordings and then on the previous album “Invocation” for recordings and mix. It was an absolute pleasure to be able to team up with him again and the time we worked on the new music together in his halls pretty much went flying by! The best part however is: The final mix turned out really, really HEAVY, so much we can tell you already!!! Some songtitles off the new album are: “Sworn To Obey”, “Reawakening”, “Storm Within” and “Gleaming Like Silver”. + Sodom, War From A Harlots Mouth, Drone, Criminal, Mob Rules, Iron Priest, etc. + Exodus, Pain, Grave Digger, JBO, Suffocation, Powerwolf, Criminal, Origin, Suicidal Angels, etc. + Bolt Thrower, Enslaved, Grave, Hell, Obscura, Corrosion Of Conformity, etc. We have a ton of news and big surprises coming up throughout the following weeks, so stay tuned! As always: Keep it heavy!